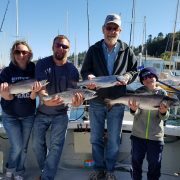 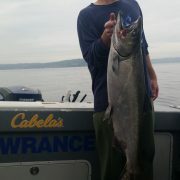 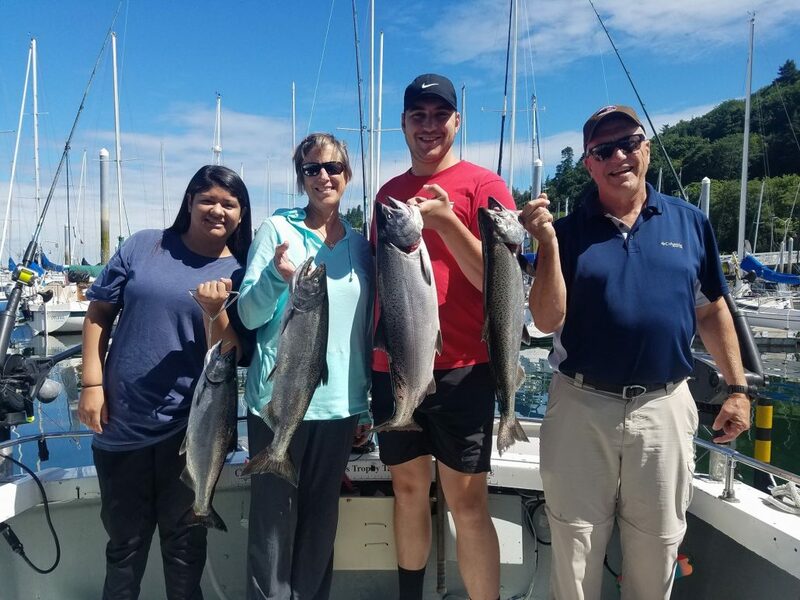 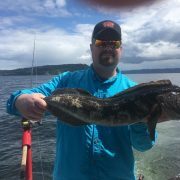 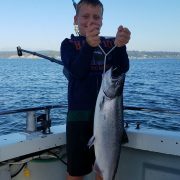 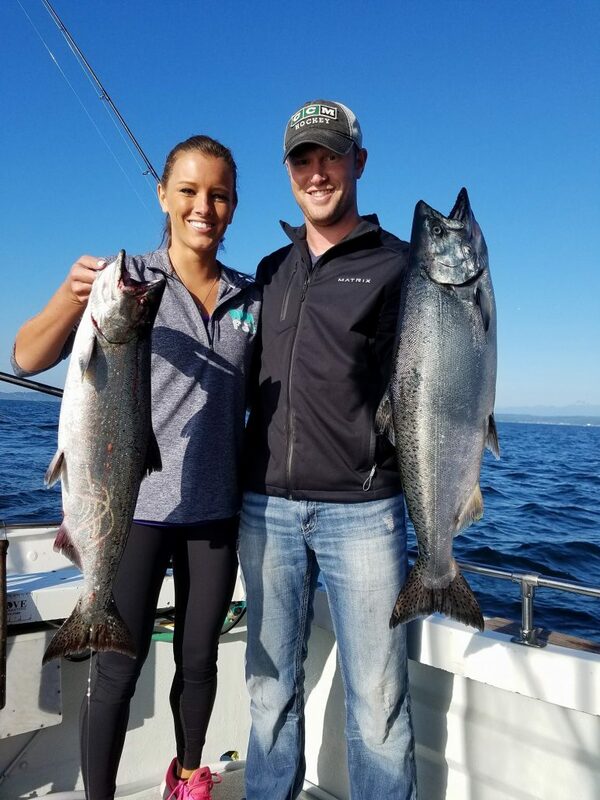 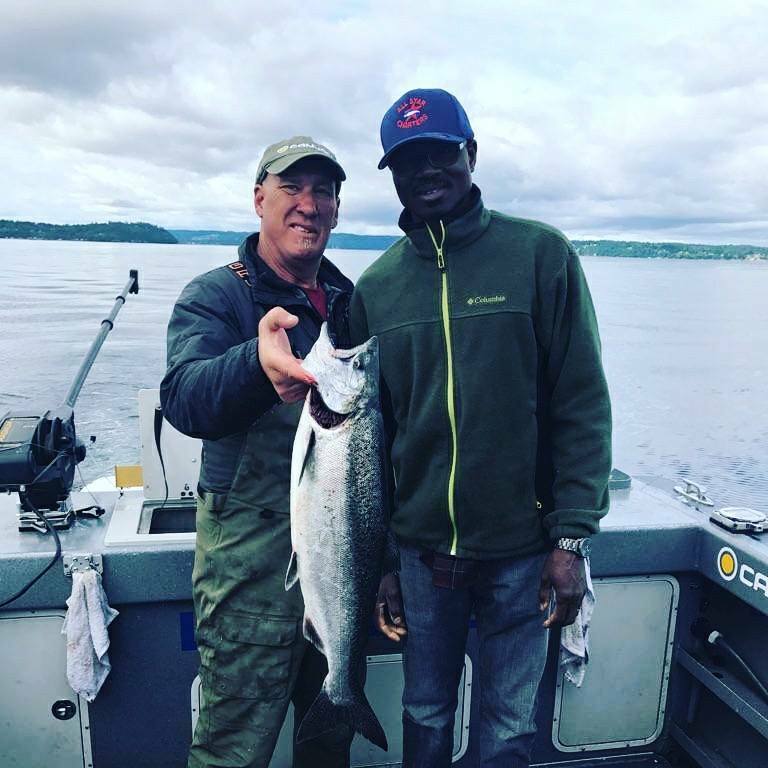 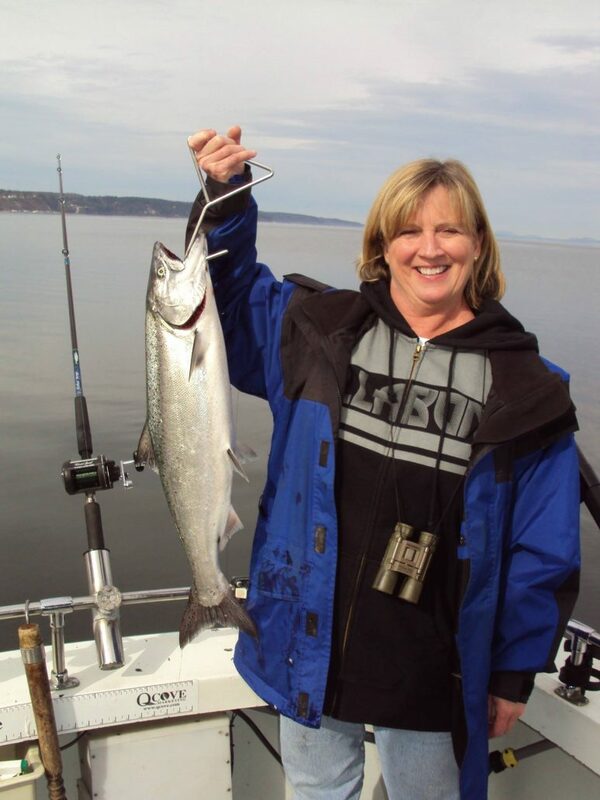 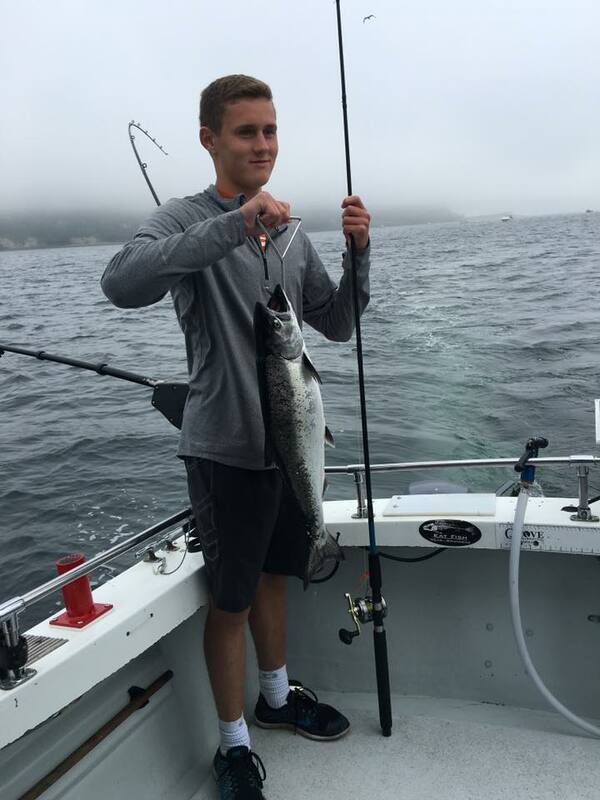 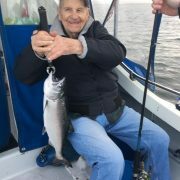 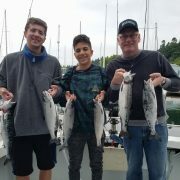 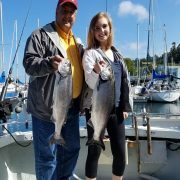 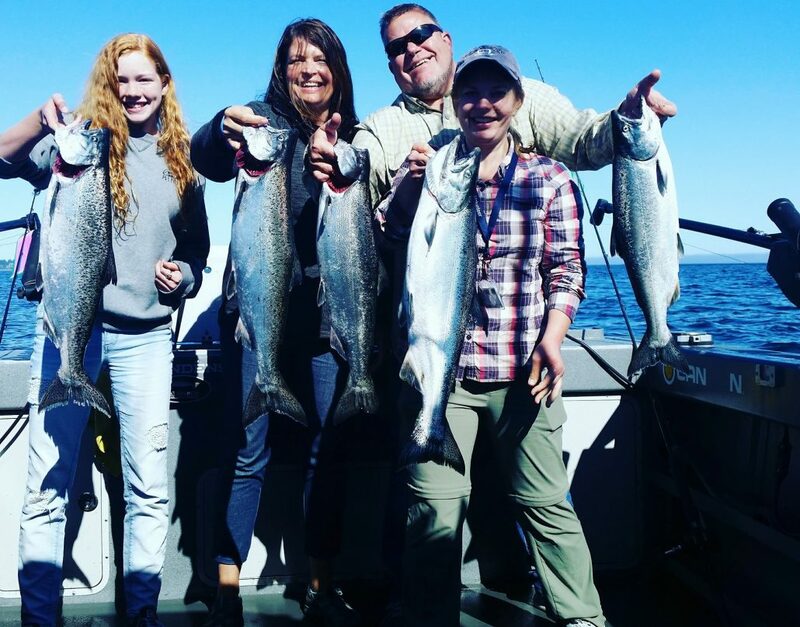 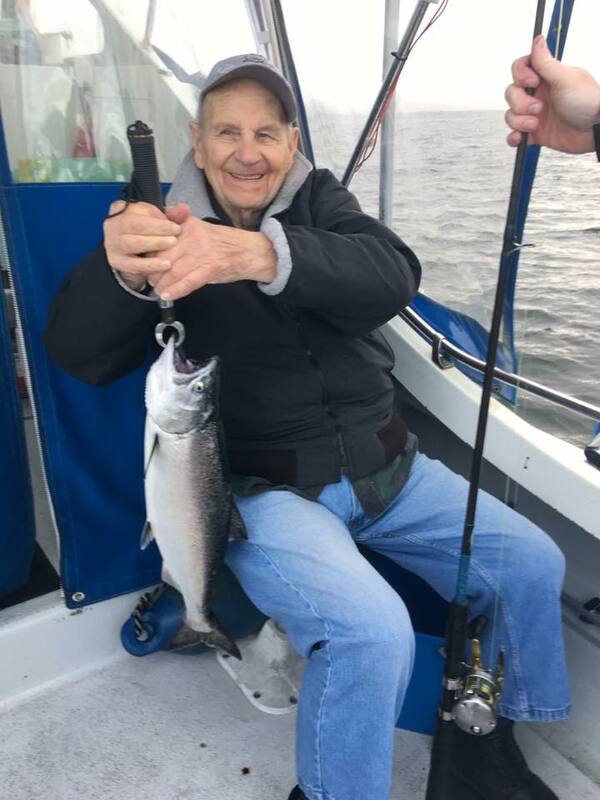 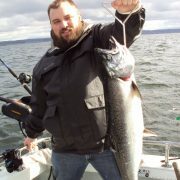 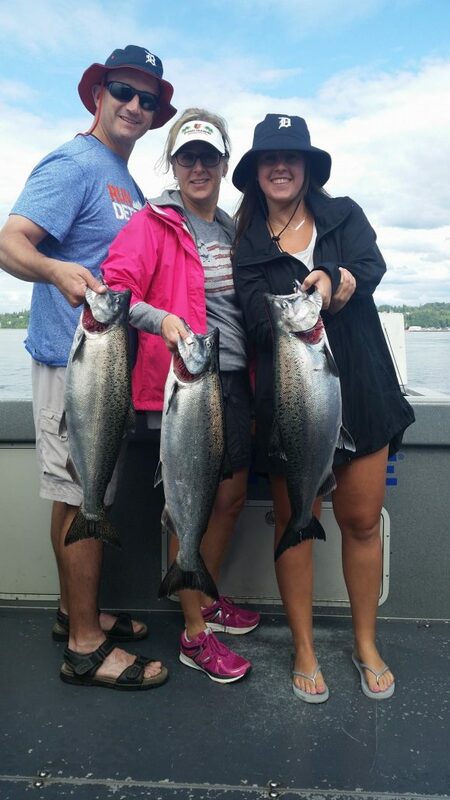 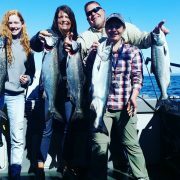 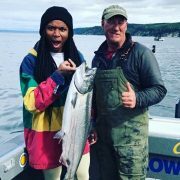 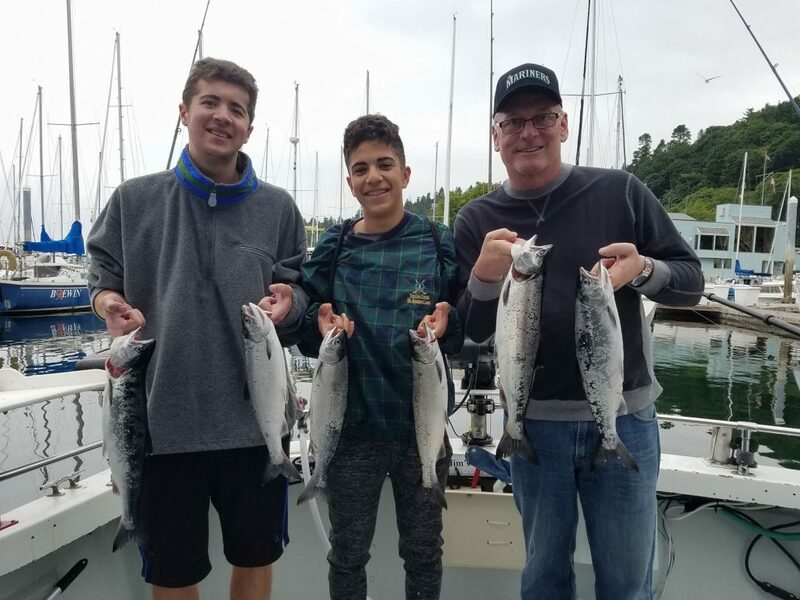 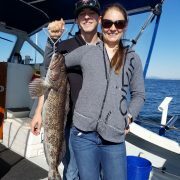 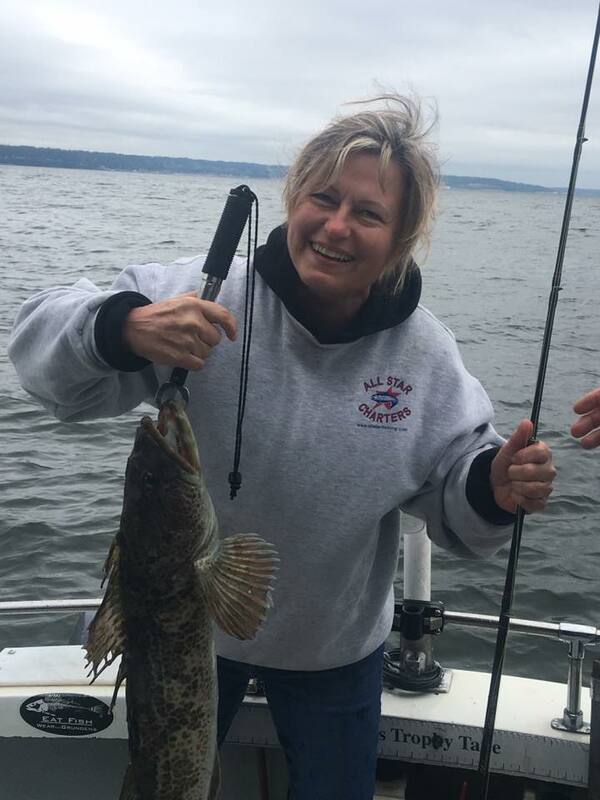 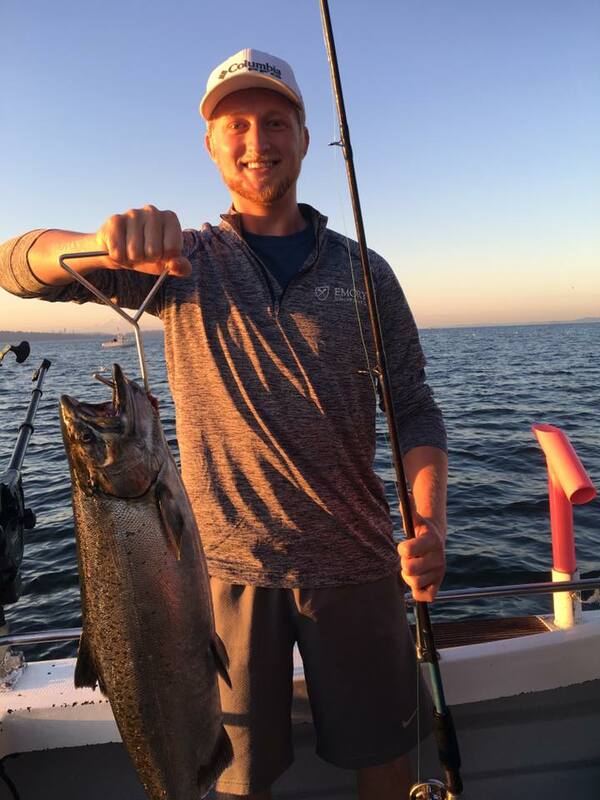 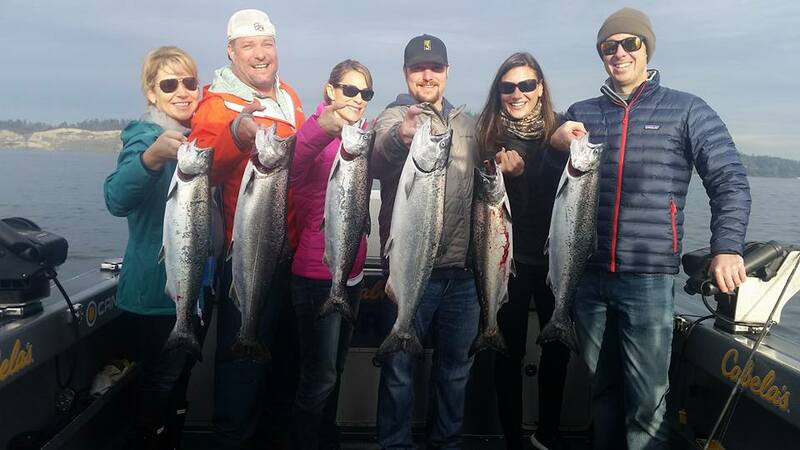 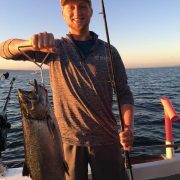 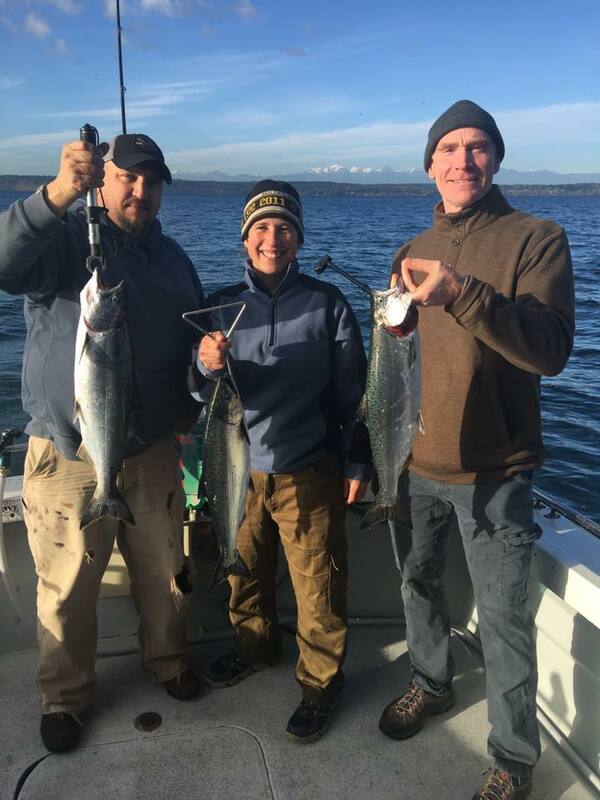 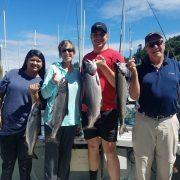 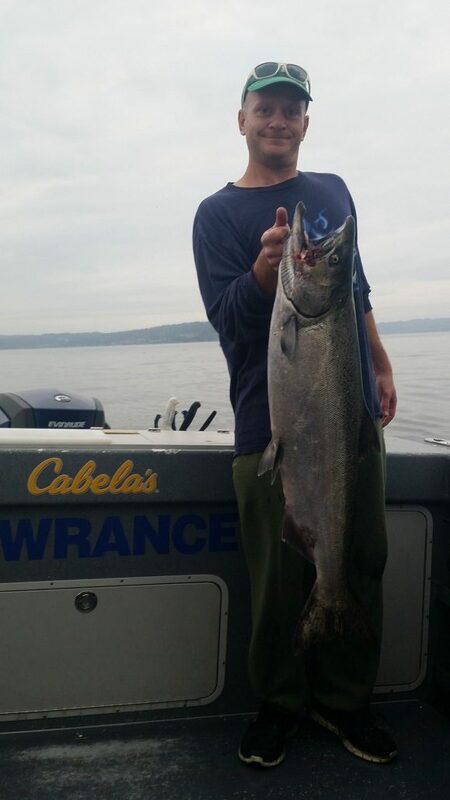 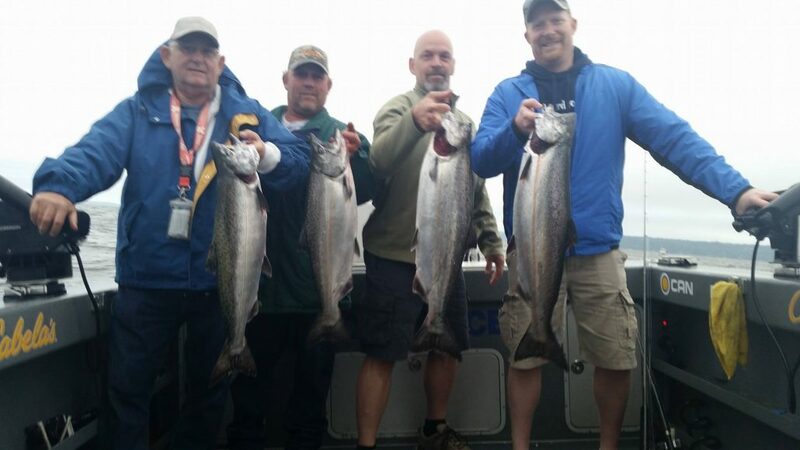 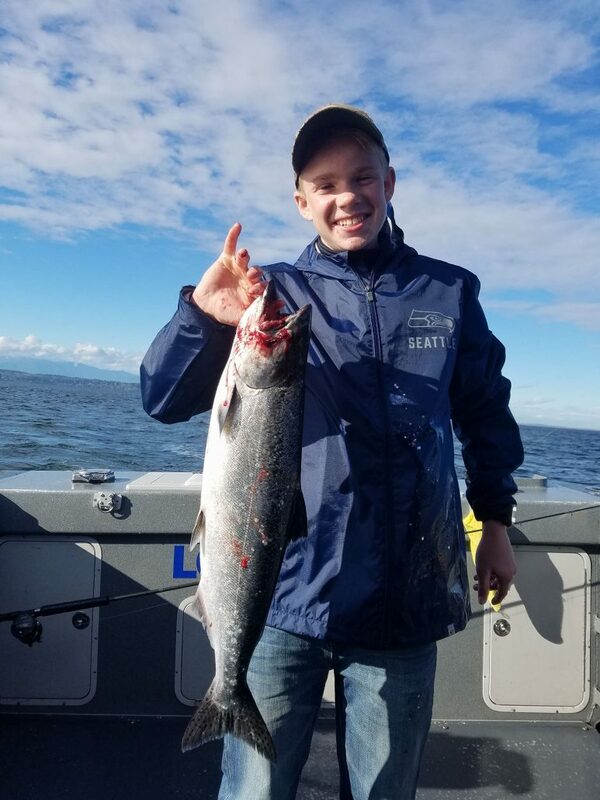 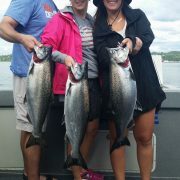 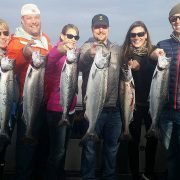 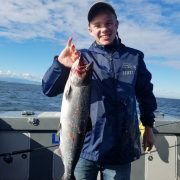 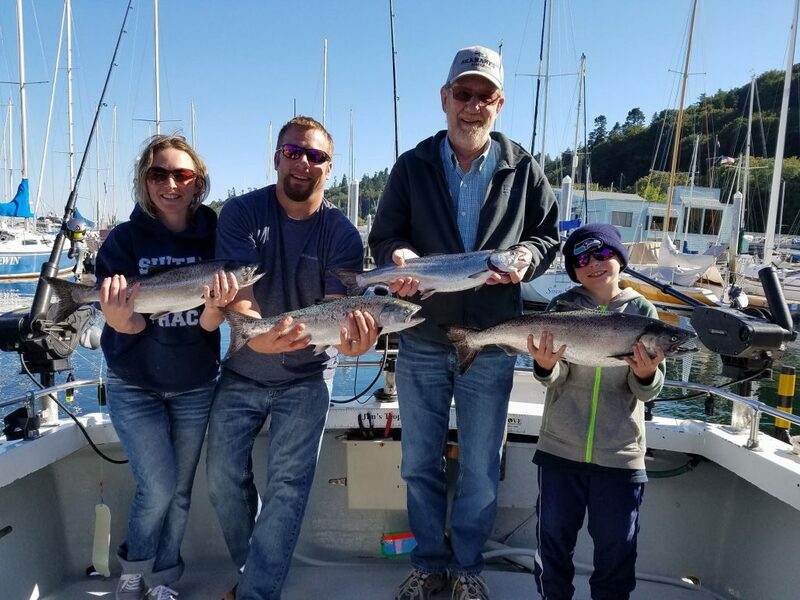 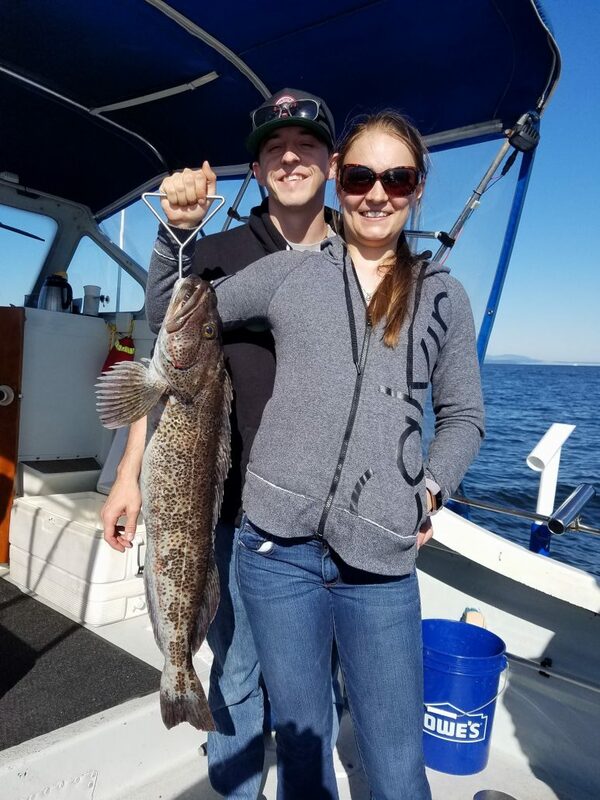 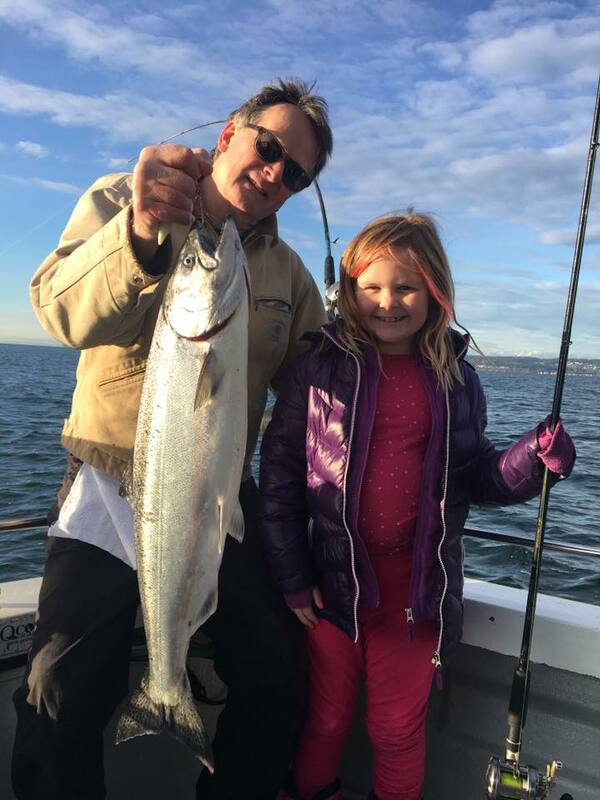 All Star Fishing Charters are Humpy Salmon fishing Experts. 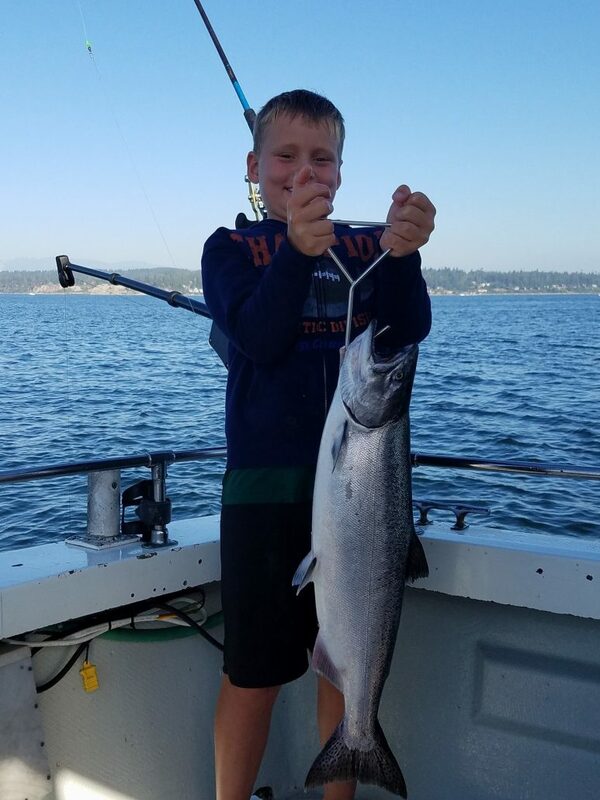 Humpies or Pink salmon return in heavy numbers on odd numbered years to Washington rivers, and are especially plentiful in Puget Sound during their migration in August and September. 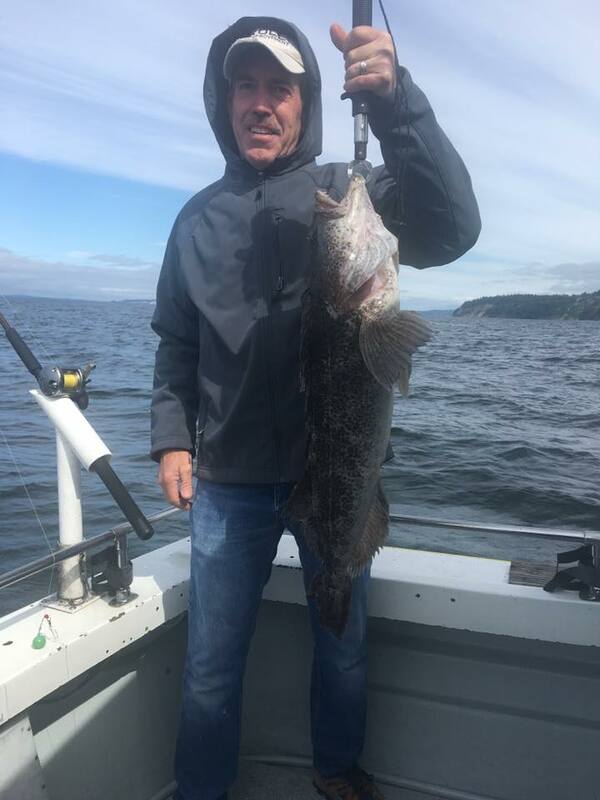 The average Humpy caught is in the 3-5 lb. 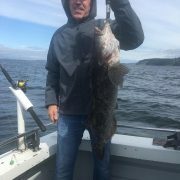 Range with some up to 14 lbs, they are tenacious fighters, and properly handled, excellent eating. 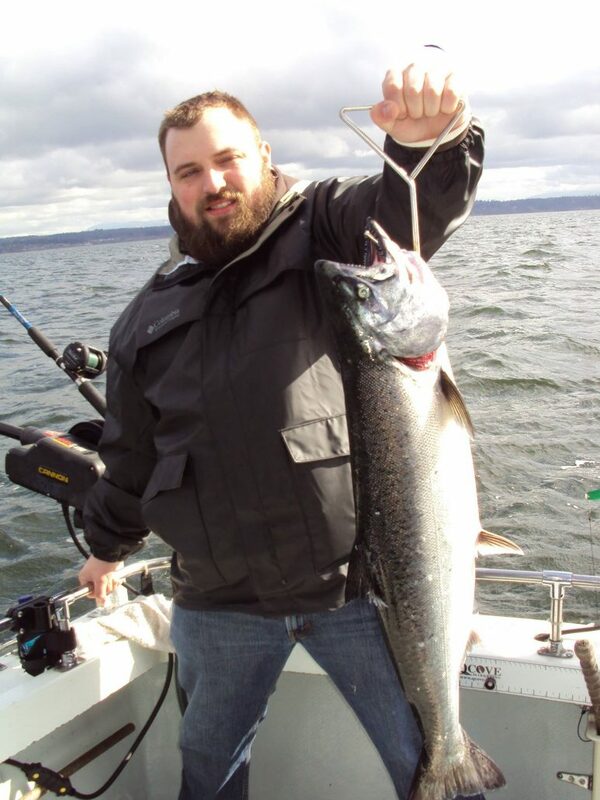 Many anglers refuse to recognize that a properly handled Humpy is a good eating salmon. 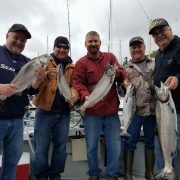 They are especially good smoked. 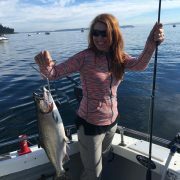 Humpies that aren’t properly handled quickly become soft and lose their flavor. 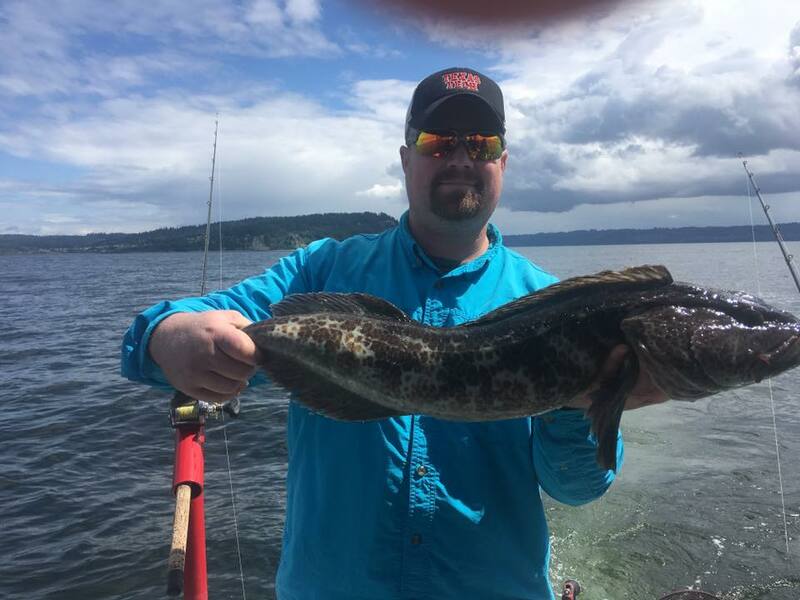 Humpies return home to Puget Sound Rivers at the height of summer. 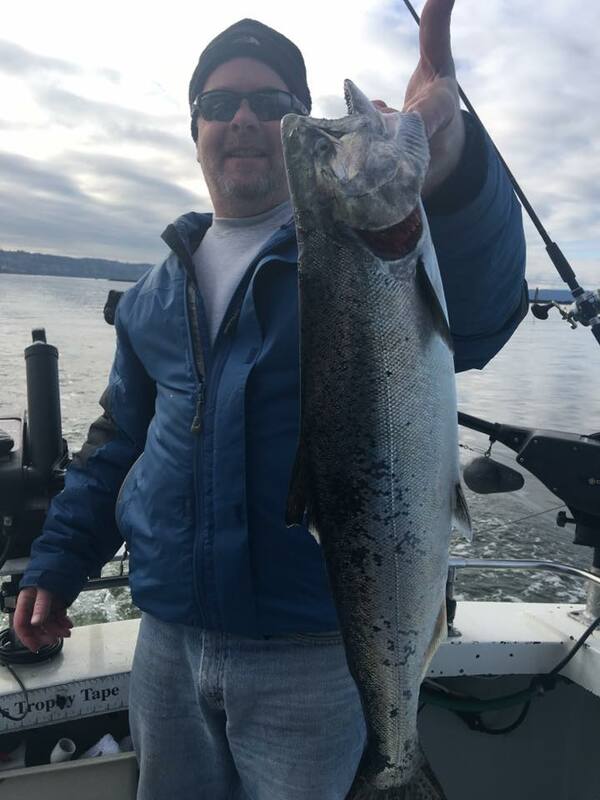 Good weather, long days and easy to boat fish are the recipe for a real good day on the water. 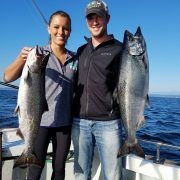 The best fishing is early in the morning or late in the evening, but these fish will hit all day long. 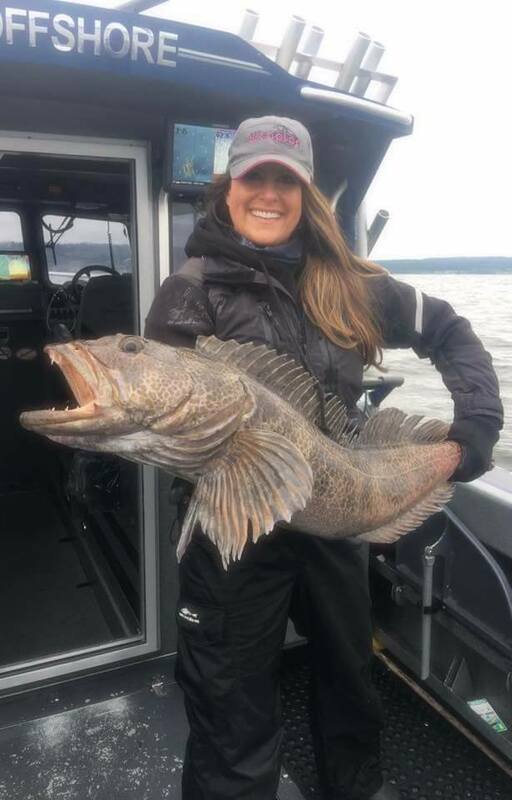 Humpies are aggressive biters. 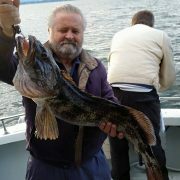 GO SLOW!! 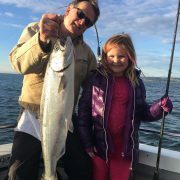 While you can catch Humpies at any speed, if you are especially targeting them, slow and slower works best. 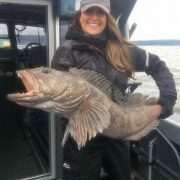 Humpies are ordinarily caught in the top 60 ft. of water, but occasionally on sunny days, will go quite deep. 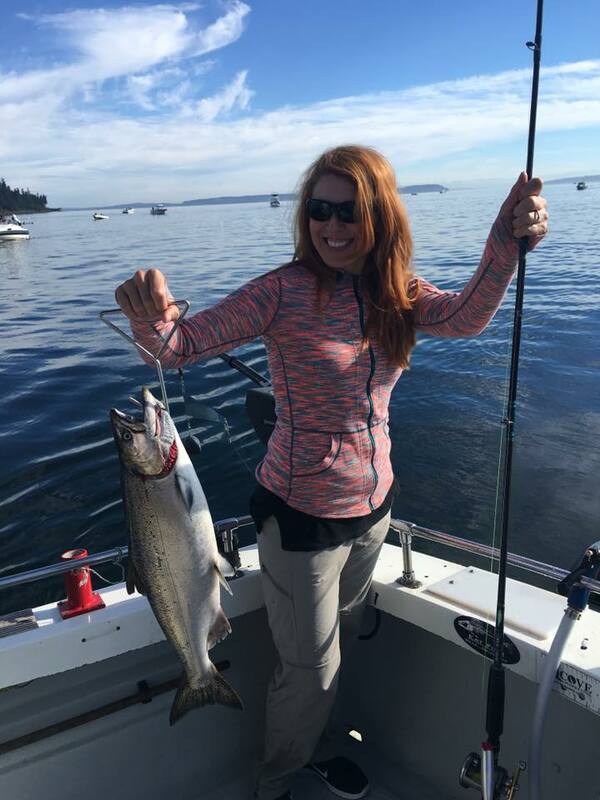 Downriggers of course are the most effective way of fishing because it gives you depth control. 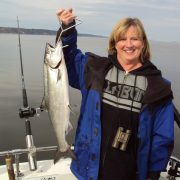 The most effective lures when Humpy fishing are hot pink mini squid or small spoons fished behind a dodger or flasher. 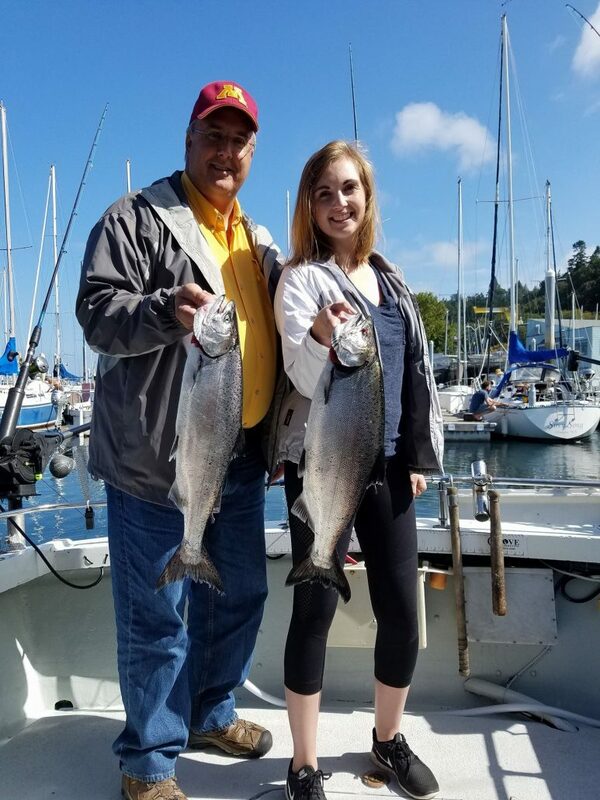 Be sure to use scent to your advantage. 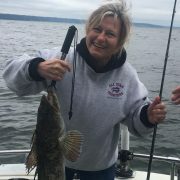 Smelly Jelly in shrimp flavor not only covers the smell of your hands, but also adds a strong attraction. 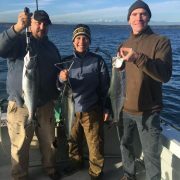 The more gear you have in the water, the more Humpies you will catch. 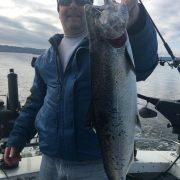 Keep your rods in the water when landing your hooked fish. 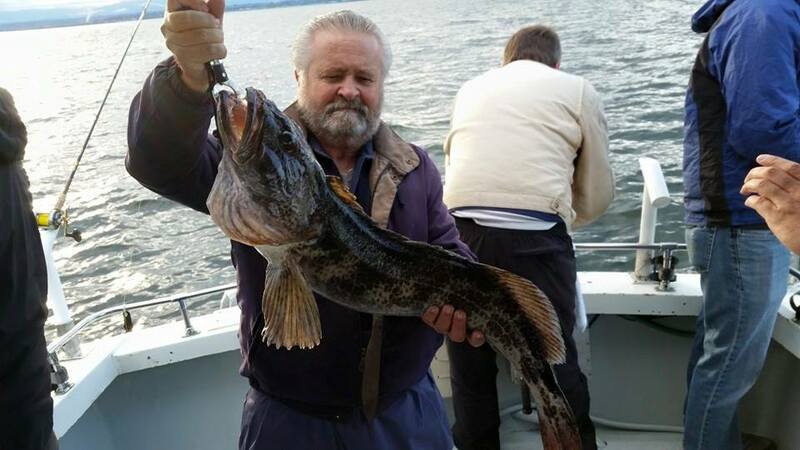 Often another fish will bite; doubles or even triples are not uncommon. 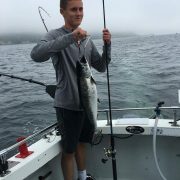 If you land a fish, circle around and hit the school again. 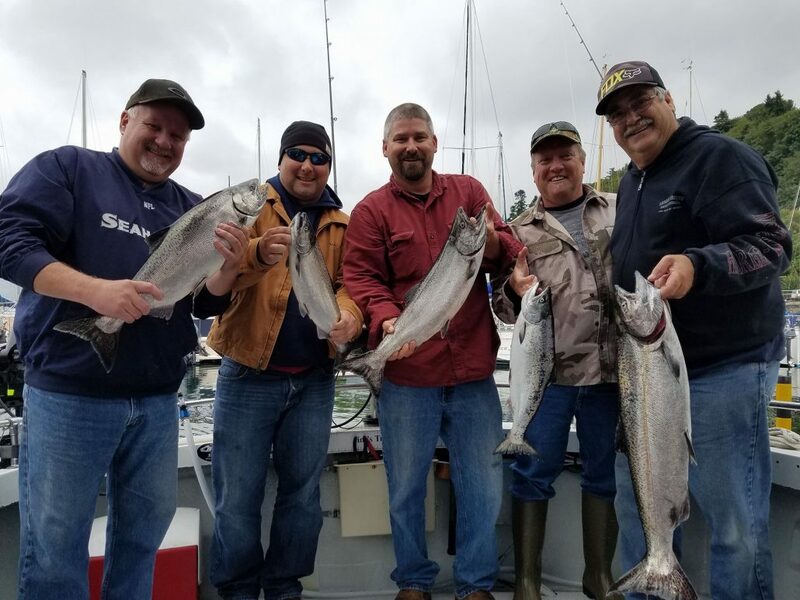 Have fun and catch a boatload of fish. 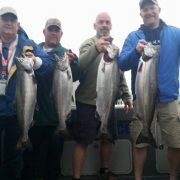 You’ll probably have enough fish for the barbeque with some left to smoke and enjoy later.